The time-bound offers and discounts are the best way to motivate impulse buying in the eCommerce ecosystem. 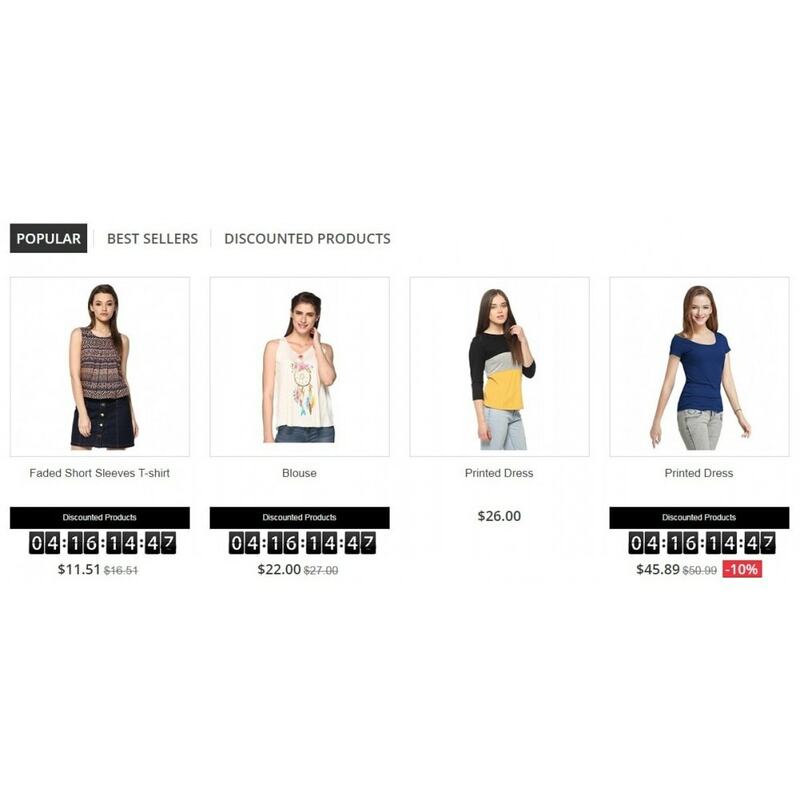 The flash sale is said to double the website traffic, especially during holiday season. 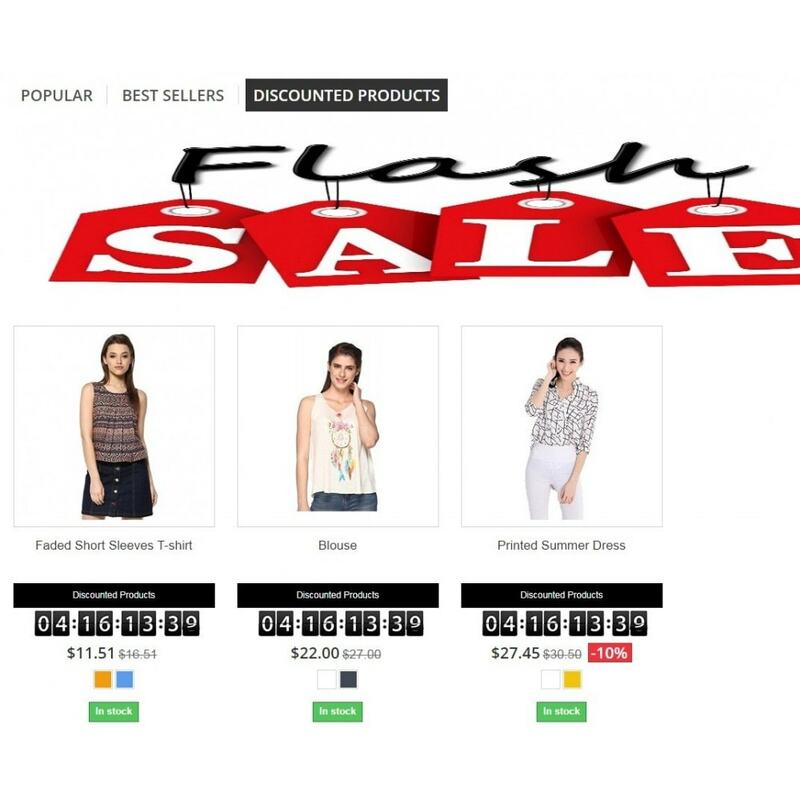 The Prestashop Countdown Timer for Flash Sale addon ensure increased brand awareness that too in a short span. The Prestashop Flash Sale Addon displays a flash sale along with a timer that specifies the expiry time of the offer. The Flash sale countdown addon creates an impression of urgency in the minds of the customers, thus, motivating them to place their order instantly. With this fully customizable Prestashop module, the store admin can easily manage and control the deal. The Prestashop flash sale eases out the conversion funnel of the website. 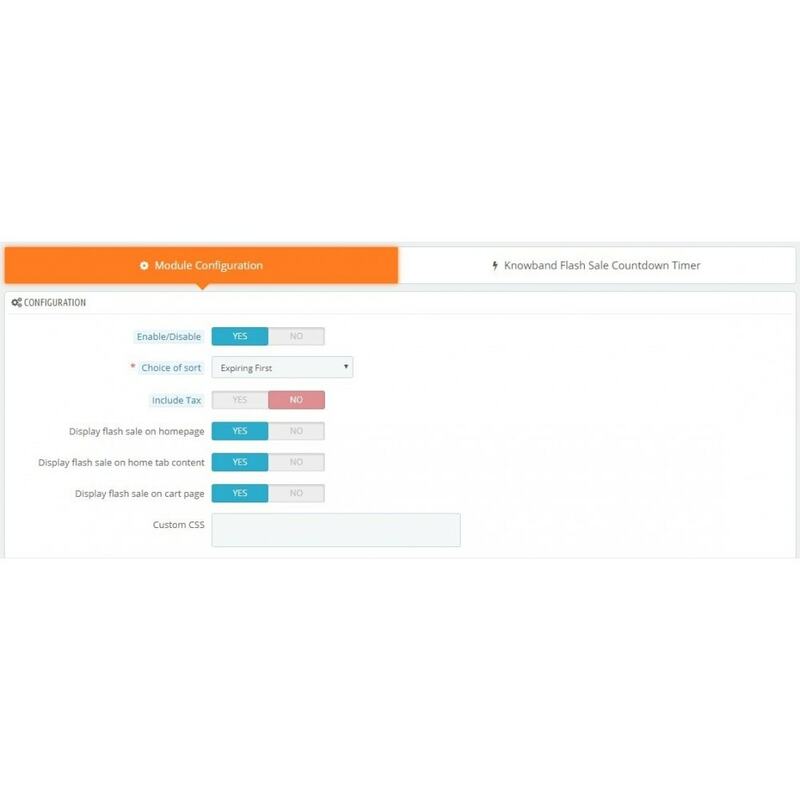 It creates a sense of urgency in the store visitors and increases the chances conversions. The Prestashop Flash Sale Countdown Timer addon offers the access to fix the rules for the discounts lies in the hands of the e-merchants. The admin can customize the look and feel of the Prestashop flash sale addon by entering the custom CSS code. Even the banners and countdown timer of the deal can be selected as per wish. With easy configuration options of the Prestashop Countdown Timer for Flash Sale addon, the admin can easily incorporate the restrictions. The Flash sale countdown addon allows the store owner to fix the expiry date for the sale. The deals running on the site can be easily enabled/disabled or edited/deleted easily. The Prestashop Flash Sale Countdown Timer addon keeps the customers reminded of the time-bound offer. 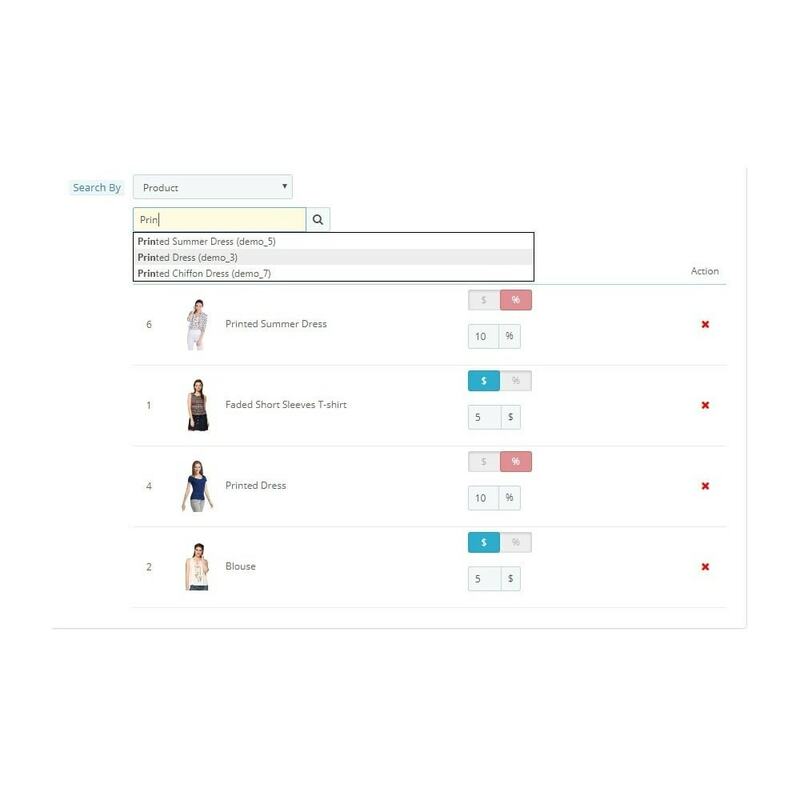 Easy installation and customization: The Prestashop module is easy to install and understand. 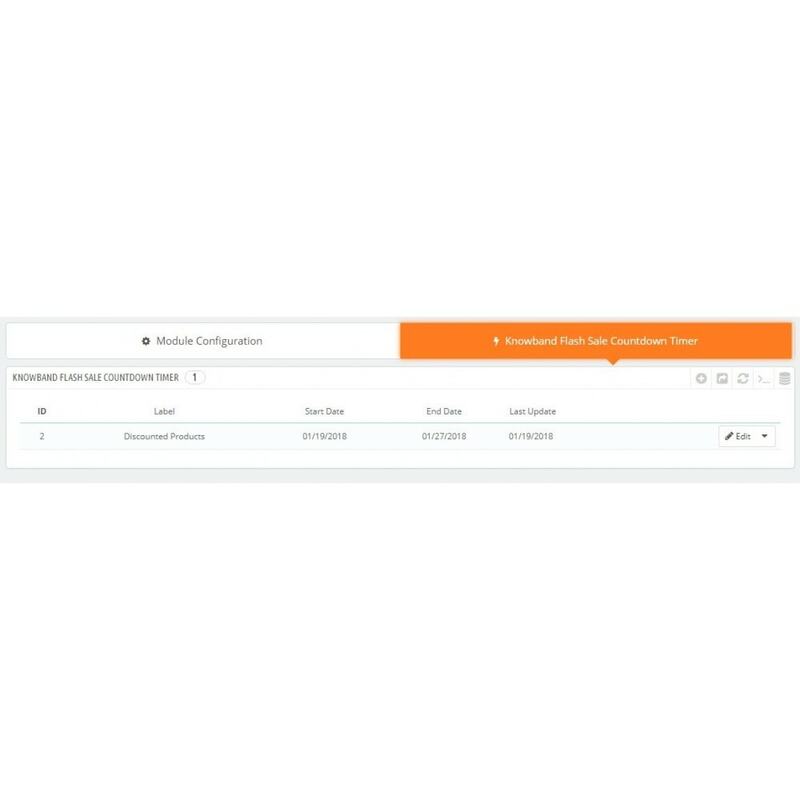 It can even be installed and configured without any technical assistance. 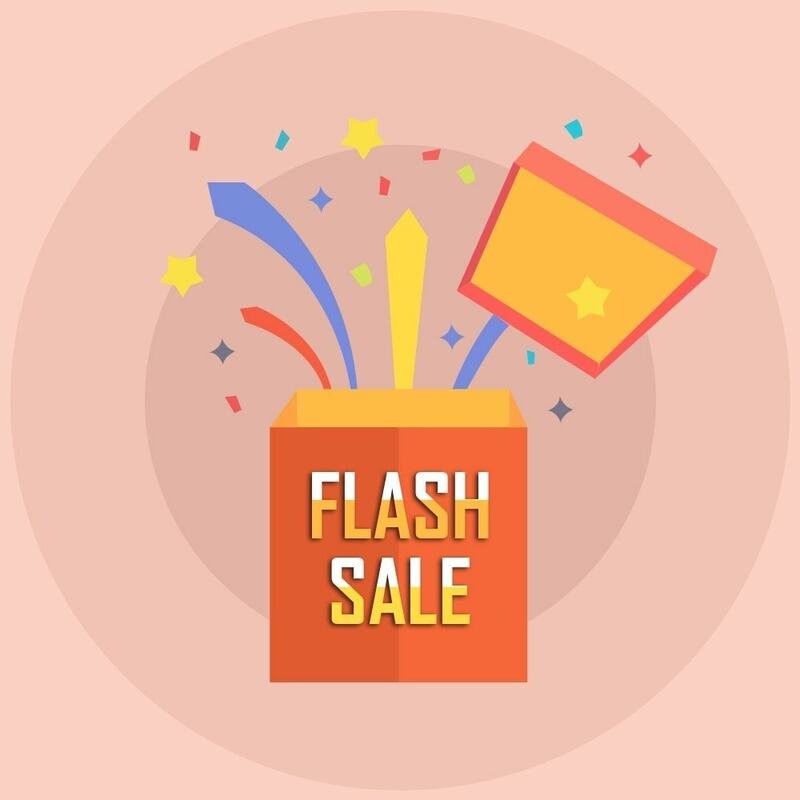 Flash sale Rule: The admin can create N number of flash sales with the help of this Prestashop Flash Sale addon. The rules for each sale right from the discount amount to the expiry date, everything can be fixed from the back-end. 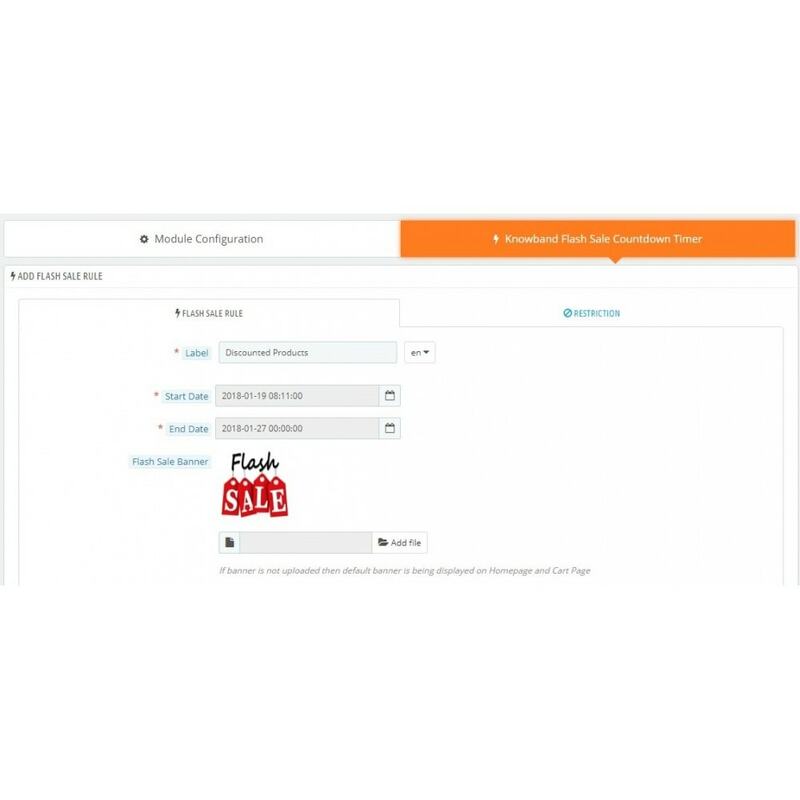 The sale can be activated/deactivated by toggling a button. The tax can either be included or excluded from the discount amount. Display setting: The sale banner and the countdown timer can be changed as required. 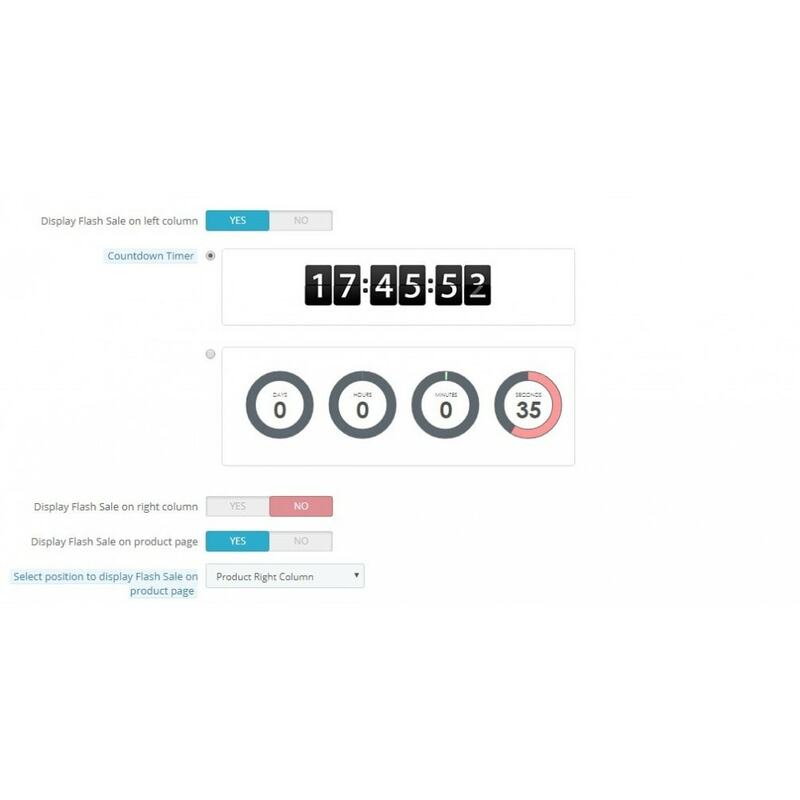 The Prestashop Countdown Timer for Flash Sale module even allows you to select the display position and the web pages where you want to showcase the deal. Deal restriction: The Flash sale countdown addon allowsthe admin to set the restriction for each deal. The e-merchant can provide the offer on particular currencies, countries or customer groups. You can select the ones that you want to restrict from availing the offer at a button click. The customers get to shop with alluring offers. The time-bound offers make their purchase decision faster.